I’m thankful to be a collector of old knives and knife company memorabilia today. 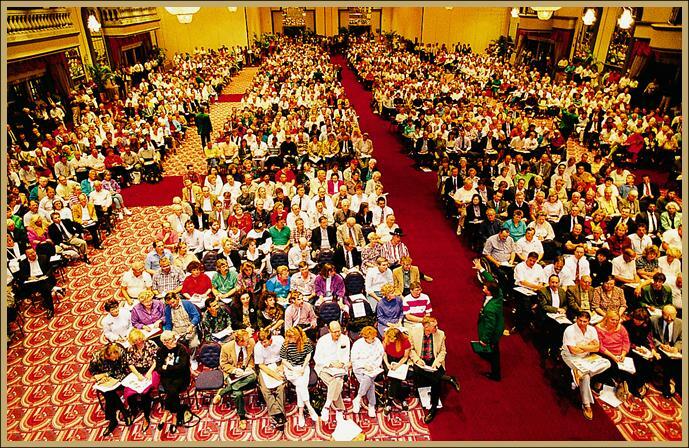 Why am I thankful? Because I can find things folks are selling so much easier now than I ever could have back pre-World Wide Web. I’m convinced we now find more of what we collect than ever before. 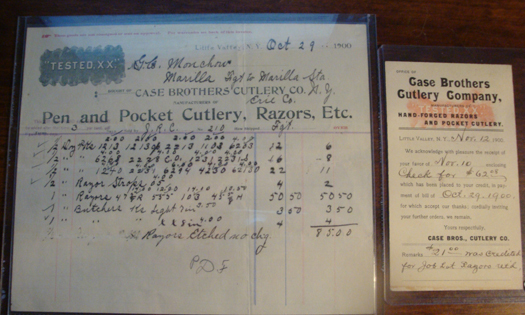 No wonder folks used to quit collecting because they no longer could find knives/memorabilia they hunted. Think about it- Folks find knife “stuff” that we collect all the time. 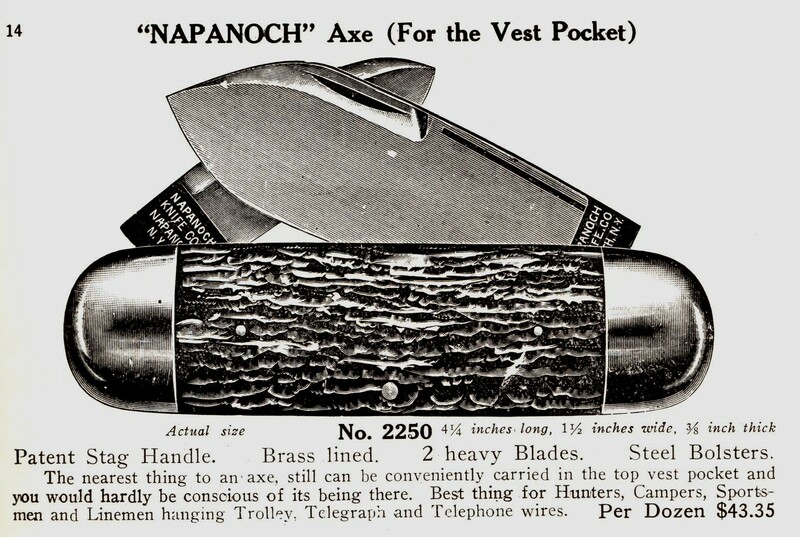 In the old days, it would get chunked in the garbage. Today, more folks take a few minutes to “research” online first. And as more collectors put up websites and other “flags” folks can find to help them identify the collectiblity of this “stuff,” the more it goes into circulation and makes its way to us. 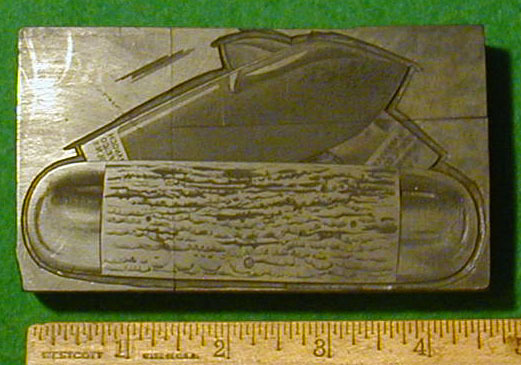 Here’s a great example of what I’m talking about- A significant piece of knife company history. It’s a printers block used by the Napanoch Knife Company during the years of 1900-1919. It sold on eBay for $261 yesterday. It’s not everyday we find a true piece of knife company history. Last week an item sold on eBay and it was a true treasure. Oh yeah, I almost forgot- it sold for $869 plus $150 shipping (proving again, good stuff brings good prices, even in a bad economy). The Portland Business Journal recognized Benchmade Knife Company as one of Oregon’s Most Admired Companies within the Manufacturing Companies division. “It is an honor to be recognized among such admired and prestigious organizations in the state” says Les de Asis, Founder and Owner of Benchmade Knife Company. Surveys were sent to more than 1,800 CEO’s throughout the Oregon and Southwest Washington region and asked them to select the companies they most admire. These awards recognize companies that CEO’s believe to be the very best organizations in the region. 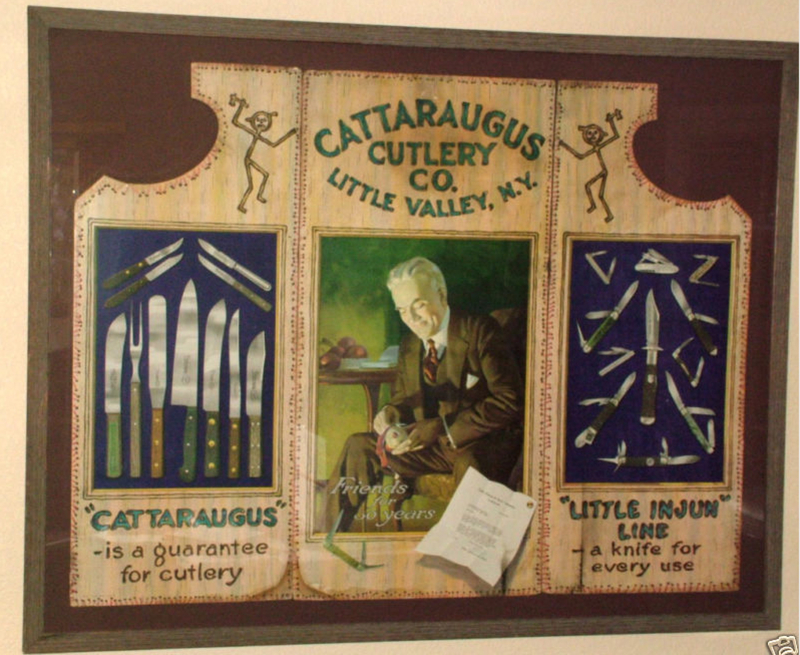 Other companies winning awards in the manufacturing category include Nike Inc., Columbia Sportswear Co., and Leatherman Tool Group Inc.
Let’s see a show of hands of how many of you like to learn about cutlery life in the early 1900s? I’m excited. Got me a new picture book yesterday off eBay and can’t wait to look at it. 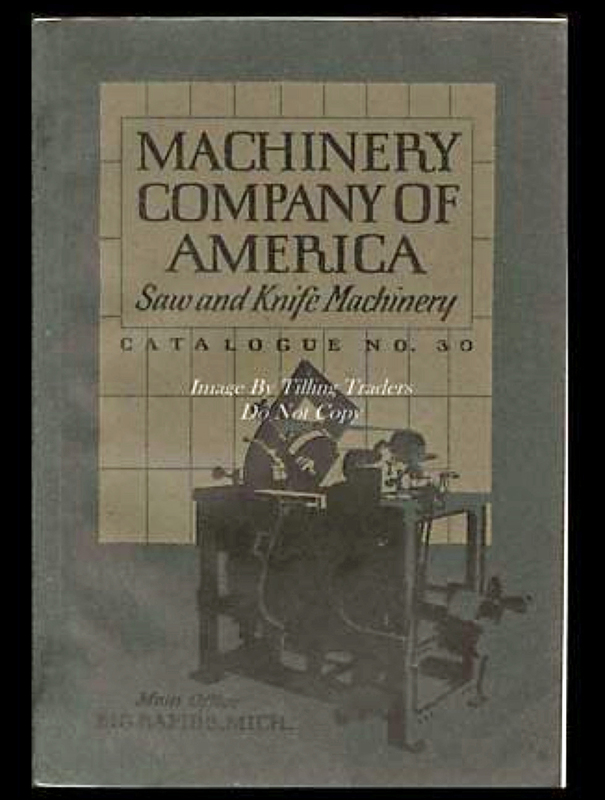 It’s a 224 page manufacturer’s catalog of cutlery factory equipment from 1918. While I don’t expect it to paint much of a picture of working in a factory back then- it will provide a glimpse. 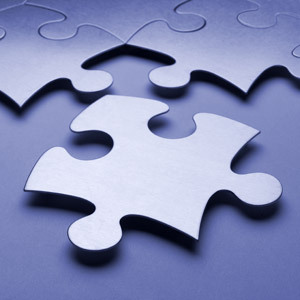 And every little puzzle piece helps. Sounds dry, you say? Maybe. But nothing like the 493 page The Cutlery Trades by G. I. H. Lloyd of 1913. Now that book will make your eyes roll back in your head- lots of charts and tables, and no pictures. Last week, Buck Knives announced it was cutting 200 employees salary to hold its own through these uncertain economic times. The Coeur d’Alene Press reported the Post Falls, Idaho knife company, one of the largest employers in Northern Idaho, made a 10 percent reduction in pay and/or work hours. While the company hasn’t had layoffs in several months this move is a result of “economic woes endured by Buck’s customers” that continues to impact Buck according to Phil Duckett, Buck COO in an interview with staff writer Brian Walker. Buck had multiple layoffs during 2008. Now that it appears the immediate threat to the Knife Manufacturers is well in hand, these companies’ focus is back to the business. Yes, before the recent scare about the Customs and Border Patrol redefining a switchblade, the knife makers had a more pressing problem- very sluggish knife sales. Knife companies, like other manufacturers, are trying to balance production against sales orders. Unfortunately, knife companies are out there with a high level of knives produced before the severity of this current economic slowdown was clear. In the past, knife companies found themselves in a similar dilemma, that is a substantial inventory on hand and insufficient demand through their normal channels to absorb it within a reasonable period of time. Knife inventory represents precious capital. Did you know cutlery history provides us examples of knife companies actually cooperating together during tough economic times to sell off their respective knife inventory? Knife companies joined forces to hold gigantic knife auctions. 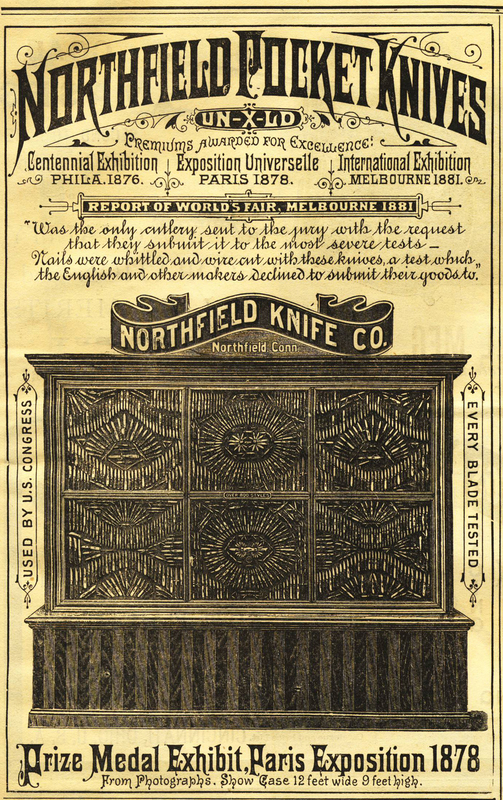 The next year another auction was held for “large quantities of hunting knives, pocket knives, skinning knives, sticking knives, and other similar articles.” The two day auction was held July 24 & 25, 1878 and was reported by The New York Times. The article states, “Bidding was spirited and fair prices realized.” And while a lot might contain a single knife or dozens of knives, in all 2481 lots were offered. With the advances in technology, compared to the late 1800s, the auction bidding could be simultaneously offered online and “live” right from the auction room. 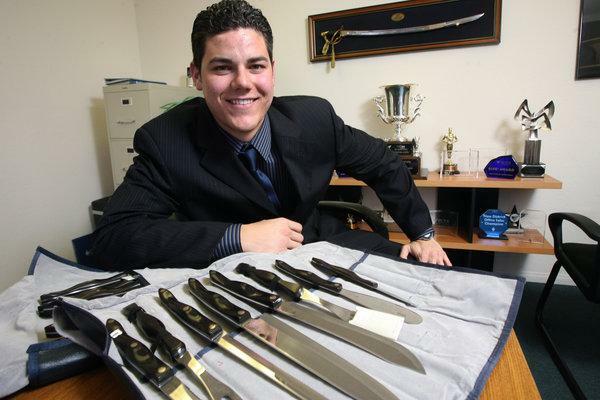 The firms with inventory in the auction would be allowed to set up booths outside the auction ballroom to promote their firm- much like a huge knife show- but the difference is the real purpose behind the event would be the auction, unlike today, where the auctions are but a side note to the knife shows. Wouldn’t it be exciting to attend an auction of current production knives represented by all the top knife manufacturers? It would be hotter than the Blade Show and the SHOT Show combined! Large knife manufacturers don’t sell directly to the public; instead, they sell to dealers and retailers, and then the knives are sold to the consumers. But, what if a knife salesman came calling directly on you to buy. I’m talking about one-on-one direct sales. You would either buy or not, depending if you needed them or, in the case of collector knives, wanted them to collector or not, right? Wouldn’t it be interesting if a knife company could create a situation where we bought their knives for reasons other than to use or collect? I’m talking about creating a situation where the buyers want to help the salesman. That is exactly the business model used by one particular knife company.